A gorgeous watercolour good luck card which can be personalised. 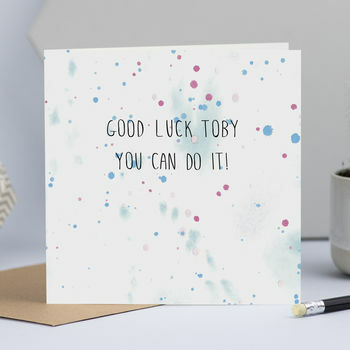 This is a thoughtful good luck card to send to someone about to go travelling, starting a new job, doing exams or many more occasions! 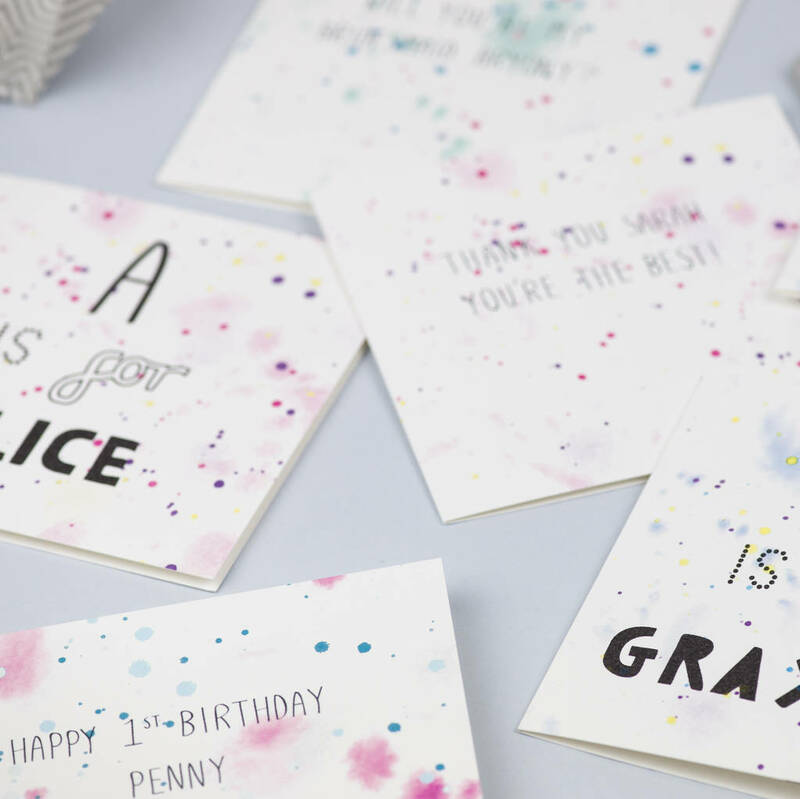 The background pattern is created with watercolours and the hand lettered print sits in the foreground. This card can be personalised so you can send a good luck message to that special someone! Please note colours may differ slightly due to your monitor. Printed on beautiful 300gsm FSC certified paper. This luxurious paper is made in the Lake District and is lovely quality. 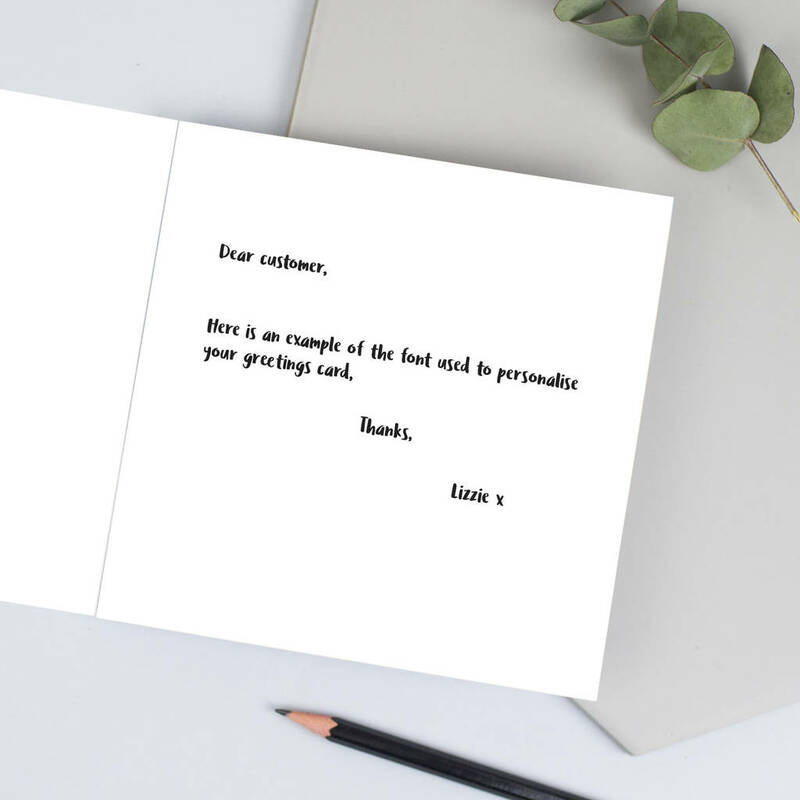 The card is left blank inside for your own message and accompanied by a brown fleck envelope.